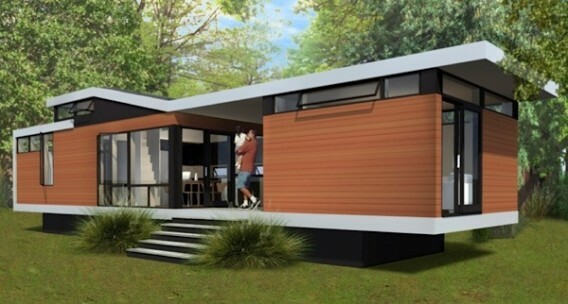 You’re probably interested in modern prefab if you’re reading this site. 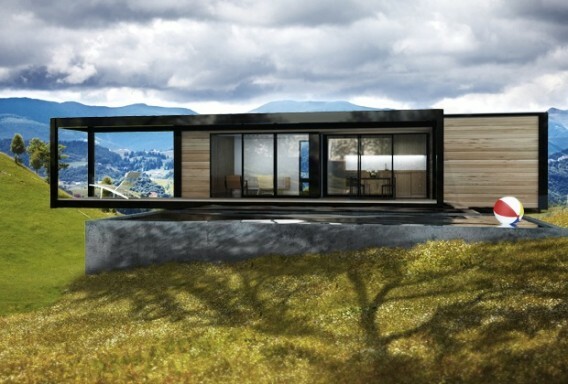 So make sure to grab a copy of the December/January 2013 publication of Dwell. 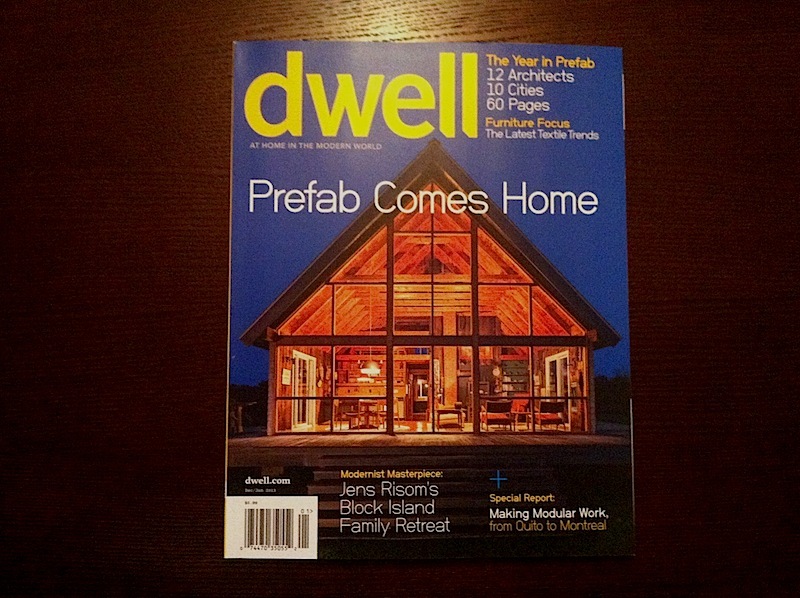 Entitled “Prefab Comes Home,” the magazine includes about 60 pages of prefab coverage for the enthusiast. The cover features a “ready-made home” designed by Jens Risom in the late 1960s on Block Island, Rhode Island. 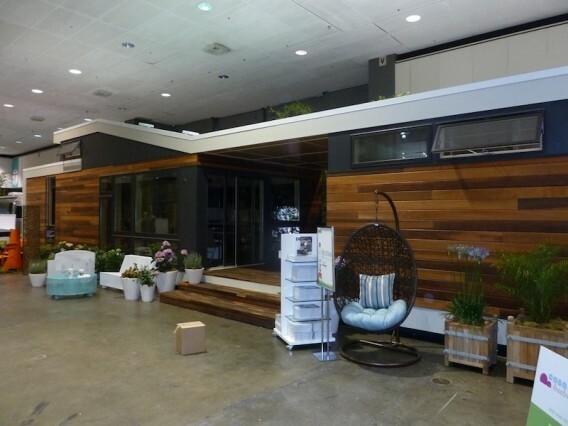 I enjoyed seeing the finished prototype by Simpatico Homes. HMK Prefab Homes, in conjunction with Sustain Design Studios, debuted a new miniHome design called the CaliMini Solo 1 at the recent Dwell on Design conference in Los Angeles. The pictures and exterior staging don’t appear to do justice to the ever-popular miniHome, but the below video of the Solo provides a better impression, I think. 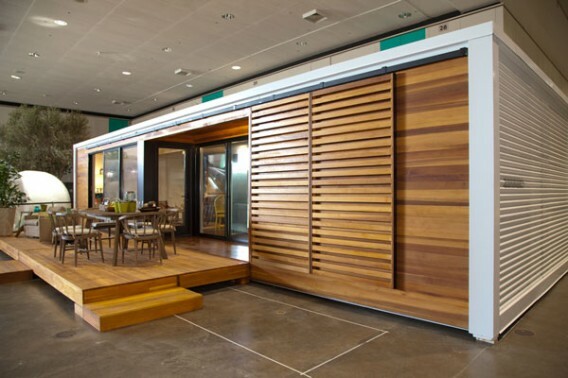 This design, unlike the chassis-based designs we’ve seen from Sustain, is built to the modular code and includes a 616-square-foot interior, 140-square-foot loft, and a 140-square-foot deck.